Do you have big plans today? honest...I would love to just be able to take a nap. my brain is in total overload. Collin graduates one week from today, like in 7 days! from enjoying this exciting time in his life. peace to come over him and guide him this week. cookies, so let's home I still have my cookie mojo. 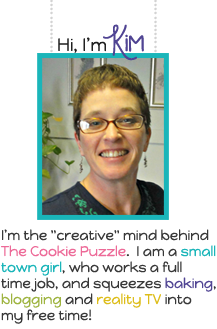 So..what has been happening here at The Cookie Puzzle this week? 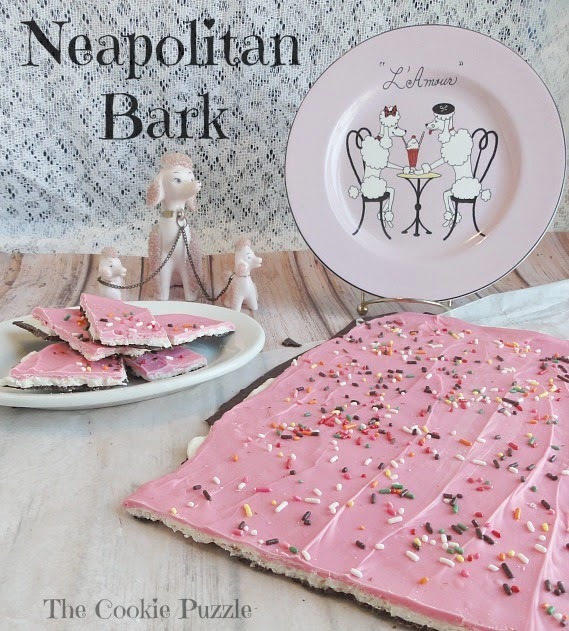 Well...I made so Neapolitan Bark. 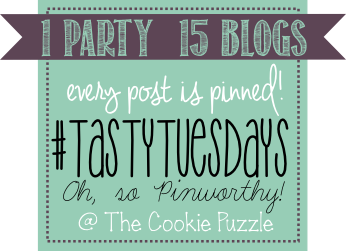 back on Tuesday to link your food related posts. I hosted Party in Your PJs! hop over and see all the wonderful posts too! Come Party in Your PJs. I am going to keep this post short and end it here. my baby is graduating from high school this week! Im sending prayers that your Son has a wonderful week.